How I Gained It: There were two reasons for my weight gain: I was an alcoholic and I was depressed. Drinkers don’t care what they eat after they get their buzz on, and I ate and drank whatever I wanted. I was also very stressed — I had bills pilling up and looked toward food and alcohol for comfort. Eventually I hit 289 pounds. I was never heavy growing up; it was only later in life that I stopped caring about my health. Plus, I was always in relationships with drinkers, which never helped. Breaking Point: My family was on ABC’s Wife Swap in 2005, and seeing myself on TV was a shock. I realized then that I had to change my eating and drinking habits. How I Lost It: Life was hard for me after being on the show, but a few months after watching myself on national television, I decided it was time to straighten my life up. I began by putting together my own low-fat and high-fiber diet that will guarantees anyone weight loss. However, I don’t believe in the word diet, because there is no “miracle diet.” It’s all about eating healthy foods and getting in the nutrients our bodies need — it’s a lifestyle change. I changed the way I was eating, cut my calorie intake and started keeping a daily log. I made a point of eating foods enriched in fiber, which kept me full throughout the day and helped me cut down the amount of calories I was eating. I also made sure I was eating lots of protein because protein is needed to build muscle. I learned that women tend to consume way too much salt on a daily basis, so I became educated on which foods were high in salt so I could watch my salt intake, as well. I also started doing regular cardiovascular exercise. 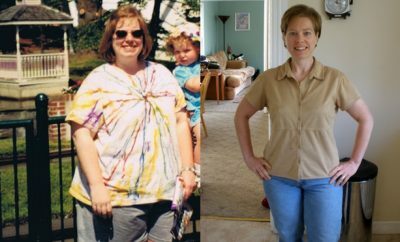 I was 289 pounds, so I couldn’t do much at first, but I started with 10 minutes on the treadmill a day — now I do five miles a day, but it took many little steps to get to that point. It worked! It took me about a year to get down to 120 pounds, and I’ve managed to maintain that for the last six years. I live inTaylor,Mich., and everyone to this day still asks me how I lost so much weight. But life isn’t about being skinny or reducing the numbers on the scale, it’s about finding out who you are as a person and having the confidence in yourself to achieve your goals. We all can’t hide behind our insecurities — we need to face them. 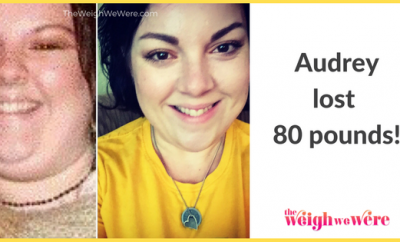 My journey was about more than just weight loss — it was a spiritual and mental journey as well. Once I started to take control of my life, my faith was restored, and the grace of God helped give me the courage and motivation to tell my story. 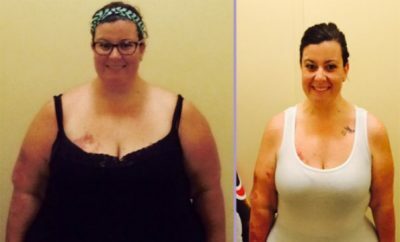 Michele is currently working on a diet book that she hopes will inspire others.